Planes, boats and bicycles--sv & rv Odin: How NOT to blow up a convection oven! Our Sharp Carousel Smart & Easy Convection/Microwave, model R-1850A. Common RV unit. Sell our house and move onto a boat? Check. Cross the Mona Passage? Check. Bake in the convection oven? Maybe tomorrow. It wasn't our first choice. The boss always has a stipulation for the ability to make homemade bread (on the boat & RV). A working oven was mandatory but Odin the Winnebago ended up with a convection oven. When you ask people about convection ovens, they love 'em or hate 'em. From "It cooks evenly and crispy," to a cringe. It seems to have the same stigma as a pressure cooker! I have Launch White Beans and Cornbread planned for dinner but forget the pan. Again. I finally buy the pan but can't find the instruction manual for the convection oven. Even The Colonel, who knows everything, said "I have no idea how to use that thing. We'll have to read the instructions!" You can use metal pans, preferably "light-colored". Glass is also fine, but takes a little longer. Lower sides are good for even cooking, if possible. Elevate! 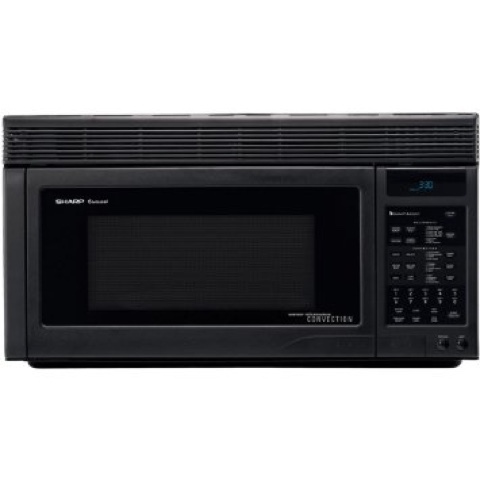 Our microwave/convection came with two racks. The lower one is for baking. Decrease the recommended oven temp by 25F to get even cooking (and start checking on your food up to 25% before recommended cooking time). 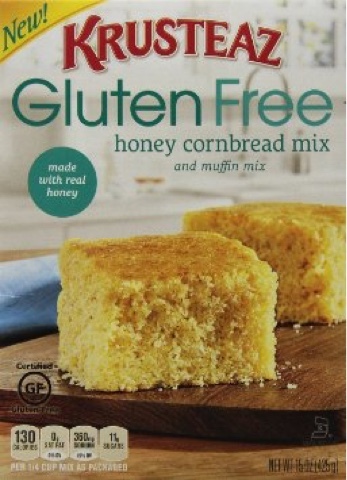 I follow the directions for the Krusteauz Gluten-Free cornbread mix and pour into an 8x8x2 American Bakeware Classic aluminum 8x8x2 cake pan. 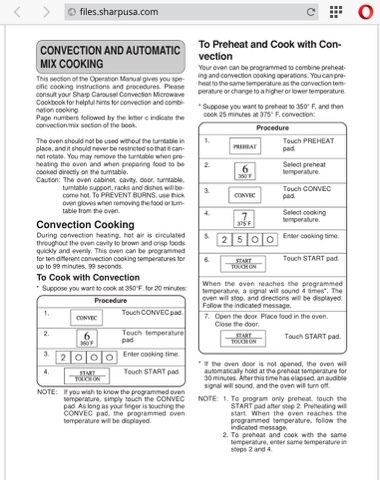 Without the manual, I start with the convection "Compu-Bake" setting and "Cake". After a preheat, it has calculated 300F for 40 min. About halfway through, I find the manual online. I change the temp to 325F (Oven temp 375F - 25F) but forget to adjust the cooking time, so I end up overcooking by 8 minutes, according to the box instructions. My cornbread is "over-golden" but not burnt. Moist and yummy. The Colonel declares it my "best cornbread yet!" Interesting. I hope I can duplicate that. Sorry. No pics of the cornbread. We ate it! Nothing exploded. Nothing thrown in the trash. Good day in the kitchen.